I took apart a framed print I have - it was in a basic Michael's frame with stock plexi and acid free foam board backing but no mat or spacers. I took it apart to add spacers and a dust cover. 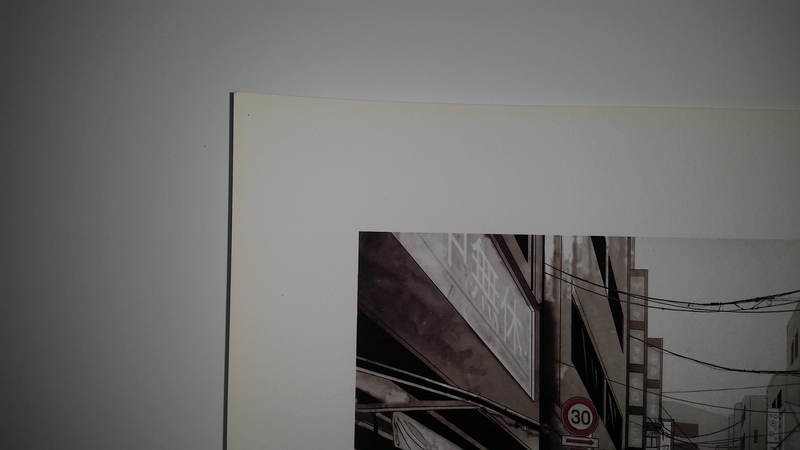 There appears to be yellowing along the outside border of the print (see pictures). I'm assuming this yellowing isn't due to UV considering it is along the border of the print which would be covered by the front of the rabbet. But is it just UV? It didn't have a dust cover before and was on a wooden shelf leaned up against an old brick wall. Could something have been seeping in from the back along the edges of the foam board? Is the frame leaking acid? How do I prevent further yellowing? Given the location of the yellowing, I'd agree with your guess that some chemical in the rabbet portion of the frame caused the discoloration. Either that, or Michael's didn't really sell you an acid free backing board, and acid from the board seeped through the print at the contact point with the rabbet. Assuming that's right, you should be able to prevent further yellowing with spacers and acid free backing board. Based on your post, you really want to preserve this print. If that's the case, you might also want to think about a glass or plexi with UV when you're reframing. Last edited by mtarail on Sat Feb 18, 2017 1:56 pm, edited 1 time in total. Use acid free spacers. 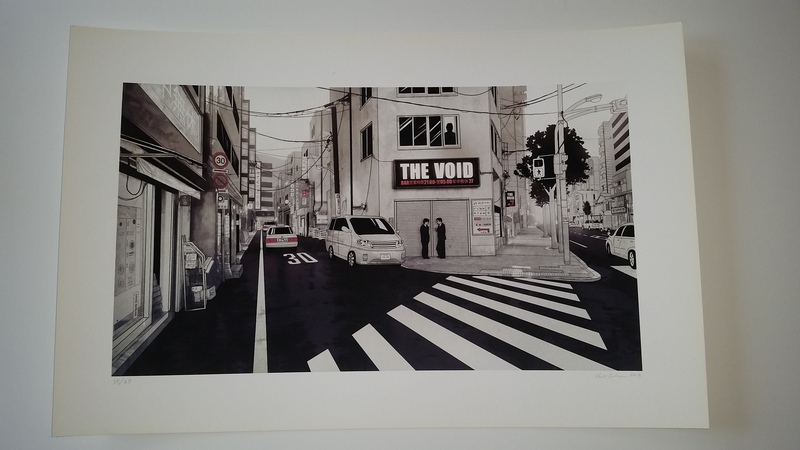 The print should never be without it or an acid free mat when framed. all that really needs to be stated, is the word "Michaels"
Thanks for all the responses. The foam board is definitely acid free - I got it from a local art supply store. Also it shows no signs of yellowing. I do plan on getting some better glass, but in the meantime wanted to at least put in the spacers (which are acid free) and add the dust cover. Should I get some frame lining tape? I sometimes re-purpose frames from Goodwill or thrift stores, so maybe frame lining tape is a good investment for these potentially acidic frames? Was this in a wooden frame? My guess is the wood used to make the frame was treated with something (non-archival) and the outer edges of the paper were in contact with the frame. Or is the exposed part of the print faded and the outside border, the part covered by the frame, the original color of the paper? CHR1S wrote: Was this in a wooden frame? My guess is the wood used to make the frame was treated with something (non-archival) and the outer edges of the paper were in contact with the frame. The frame is the default/cliche michael's frame. I guess it is mdf or some kind of composite? If it's MDF then that's your answer. MDF is highly acidic. Frame lining tape along the inside of the rabbet (so between the frame and the print) will solve this issue if it is indeed the frame itself that's acidic? The layer of aluminum provides a barrier that stops acid migration and meets the standard for maximum preservation framing. Also provides an effective barrier for the rabbets of wooden frames. Is this not what I need?